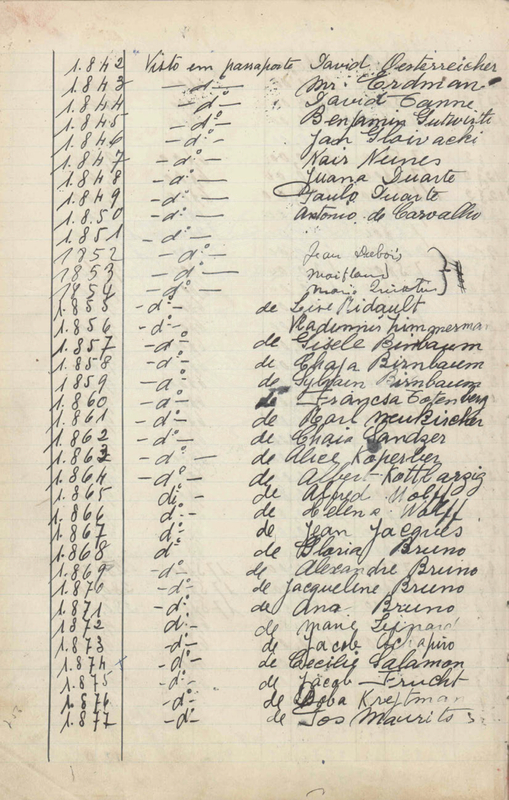 The BRUNO family received visas from Aristides de Sousa Mendes in Bordeaux on June 17, 1940. They crossed into Portugal. 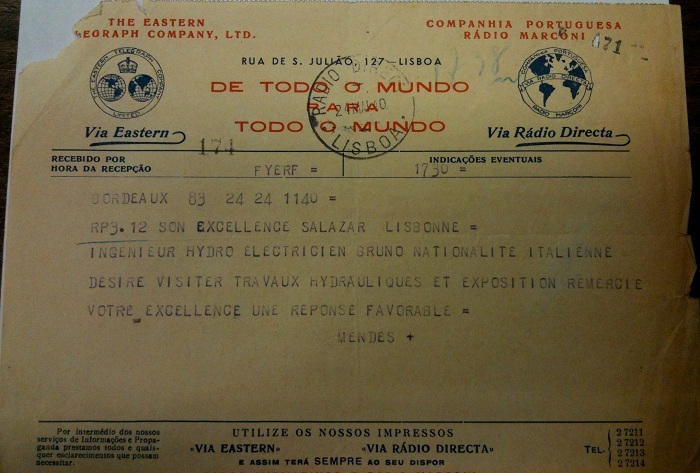 Alexandre, Jacqueline and Gloria BRUNO sailed from Lisbon to New York on the vessel Excambion in July 1940. Anna BRUNO followed on the Exeter in August 1940.